Big fan of: Cuddling! Apollo would love to snuggle with you, and enjoys having people pet him. Not a fan of: Bumping into things. Due to his visual impairments, Apollo enjoys being guided while walking. Special features: If you're looking for a well-mannered dog, look no further. Apollo is a very calm and low-key pup. 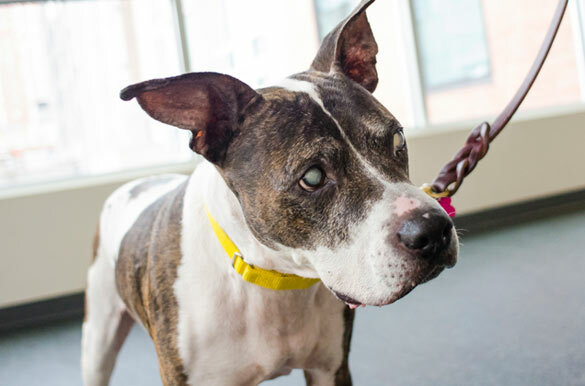 Other reasons he's special: Apollo is visually impaired and has arthritis, but he’s a sweet dog who'd love to live out his golden years with a loving adopter. Dream home: Apollo would be happy to join a loving home with adopters who'll provide him with the special care he needs.